The American Mission Morris Chair features the classic Spindle sides inspired by the Original Arts & Crafts movement. Timeless Mortise & Tenon constuction coupled with Spindled Sides and Korbels on both sides make this one of our most popular Living Room items. 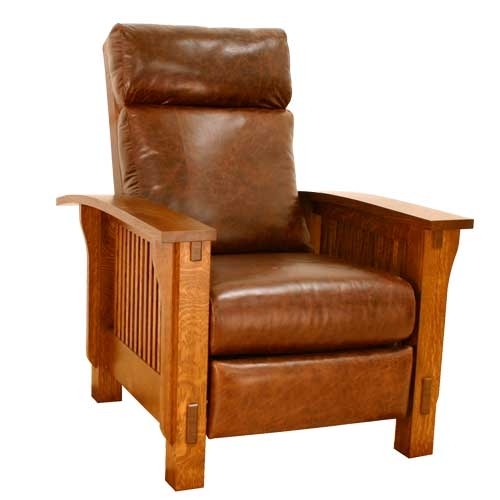 The recliner features a extra leather cushion as a head support and a leather foot cushion that flips out for your feet. 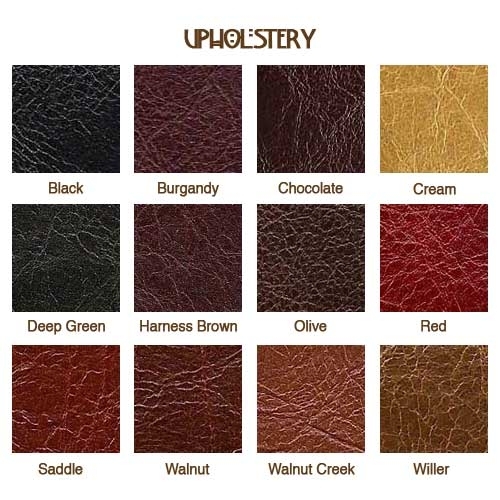 Comes with custom cushions featuring the Finest uncorrected Top Grade leather that will last and last. The fully reclining feature makes this the most comfortable Morris Chair made!